It often makes you wonder why push Broadwell now, when Haswell has a lot of traction and it's a few months to Skylake. They also included some BGA in the mix for other devices, but pushing a desktop chip seems a bit odd. Given the few months in between them and people unlikely, to drop Haswell unless for lower power systems. All in all it's negligible power savings, we'd need to obviously see how the integrated graphics fair. It might be a solution for some people, but obviously not everyone is going to see it as a huge importance. It's kinda amusing to me because, I'm looking to replace my mobo / CPU right now. I'd likely sit and wait for Skylake, simply because I'd only be wanting to buy one upgrade. Upgrading is a low priority right now anyways, so there's less inclination to spend right away. Intel is almost saying, "Here's some Broadwell desktop CPUs but we don't really want you to buy them. So were gonna cripple them and make them less powerful and less desirable than the previous generation Haswell." Who is going to buy the i5-5675C with less L3 cache and same HD4600 graphics? Unless it's sold as a cheaper alternative to Haswell you'd have to be retarded to choose it over Haswell. Edit: I guess I read it wrong. It does have the better graphics. But gimped L3 cache. Wonder why they used less L3 cache though? So, it's not a raw deal. Just a wash. I guess I read it wrong. It does have the better graphics. But gimped L3 cache. Wonder why they used less L3 cache though? So, it's not a raw deal. Just a wash. It has less L3 cache but its integrated GPU has embedded RAM, which also acts as a last-level cache. So it may have 2 MB less on L3, but it has 128 MB (if I'm not mistaken) of "L4" cache. When you put it that way, it sounds like a much better deal. 4MB L3 + 128MB of L4 cache versus only 6MB of L3 cache? Okay, I have no idea which is better at this point honestly. I'll have to wait for reviews. If that i5 is appropriately priced that could put some major pressure on the A-10 Kaveri CPUS since Iris Pro wasn't put onto a socket CPU in haswell. Regardless, no body would buy this for a getaway CPU+GPU on a single die. You either need a quick working PC and you buy an AMD APU or you need slightly more power and you buy a CPU and a GPU. 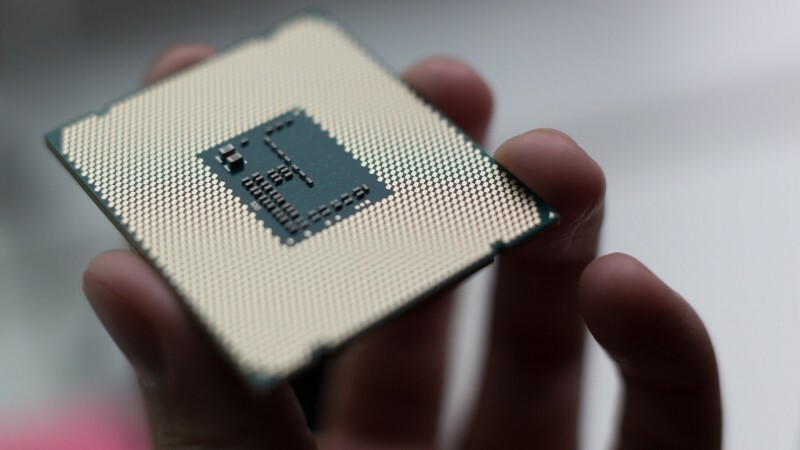 If you want proper CPU horsepower for rendering or whatnot, you get an FX83xx, or the Haswell i5/i7 which still are clocked significantly higher than these Broadwell parts. They are both unlocked chips so the clock speeds don't matter much since you control them. I have met a lot of gamers over the last 2 years that are running just AMD APUs in a desktop build, the plan being to eventually move on to a better GPU when the need arises or more commonly they were on the HTPC they built for the living Console like system, the i5 would still throw a big punch in for gaming. I have seen what a HD 4600 with 20 EUs can do these have a higher clock 48 EU and 128mb ERAM so I could see plenty of horse power for gaming while be very quiet and fitting into 9 x 9 itx cases with external power. Exactly. A 65w TDP will allow headroom for overclock while keeping well under 90w which is perfect for a compact itx form factor with external power. The key will be whether the 128mb l4 cache is useful for anything else besides graphics.